With so many cases involving cybersecurity and data governance issues most organizations may deem it necessary to check their information governance programs and end up neglecting their records management controls. My view is that it may also be a good time to check your records management program. This article sets out some key considerations to help you conduct this check. First, let’s make sure you know what records management is. This should not be confused with information governance, which happens often. Information governance entails a more strategic approach and can be viewed as the wide-ranging framework that includes standards, processes, roles and responsibilities and reporting measures to ensure accountability for and alignment of the management of information with your organization’s goals. Records management is more operational in nature and can be viewed as controls that address the lifecycle of records – that is – the planning, managing, organizing, and promoting of how an organization’s records are created, maintained, used, and disposed of. 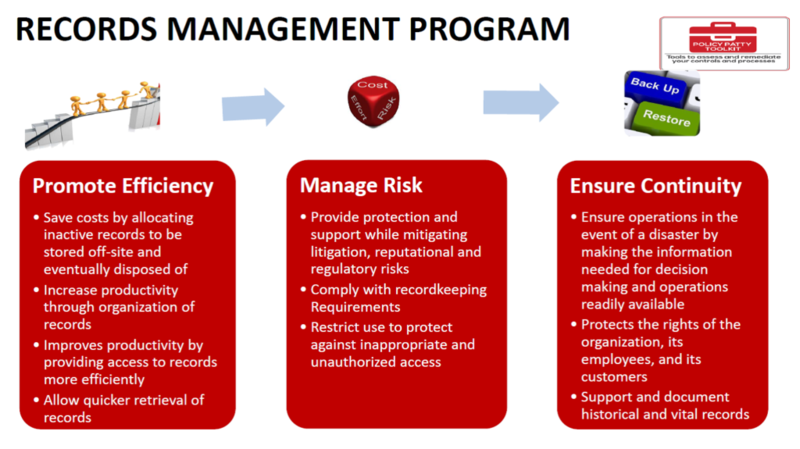 Why is a Records Management Program needed? Next, you need to consider what needs to be done with your records? Every organization has some sort of legal obligation to manage its records since records evidence its actions (e.g., business of the organization, decisions and actions taken, and organizational activities). 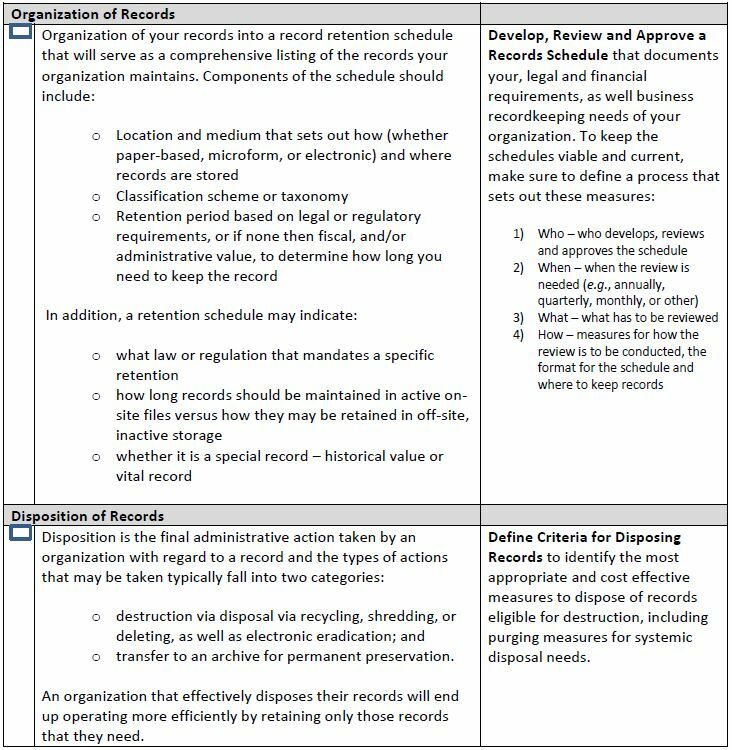 Records are also valuable resources and integral to any organization’s operations. As a result, a systematic approach is needed to manage them. What are the benefits of a Records Management Program? what to do in the event of a business issue (disaster, litigation, investigation, etc.). These benefits are further illustrated below. 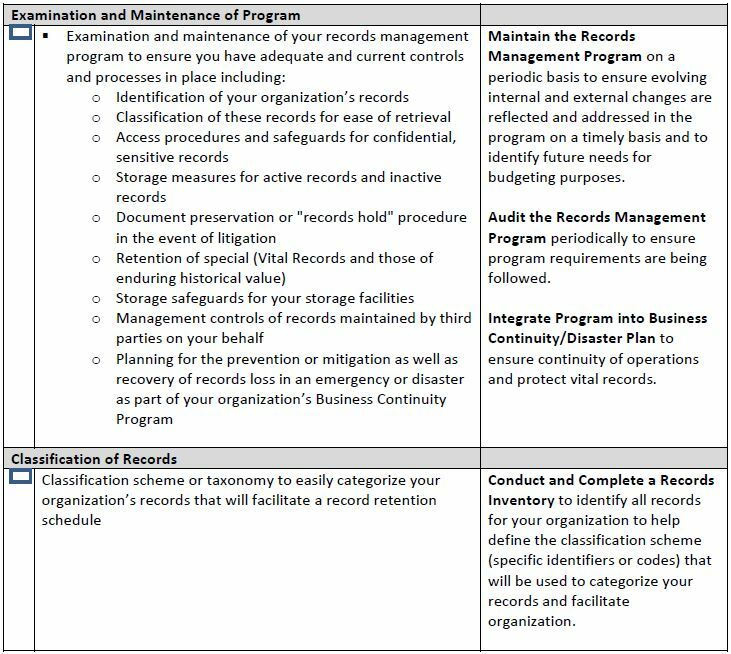 What are the core components of a Records Management Program? With what you know above, how should you set out to define your records management program? Your organization may already have a formal records management program in place with an administrator or governance group that ensures your program is in place and maintained. Whether this is the case or not consider the following overview of key components to help you check your current program or help you create one. 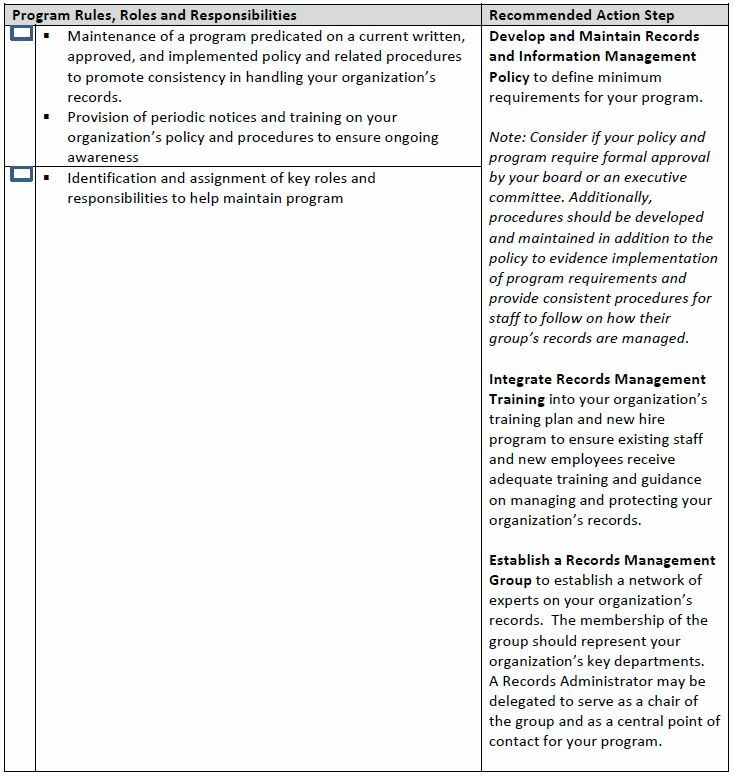 Please note that the foregoing overview is a summary and not intended to be inclusive of every consideration for your records management program. Your program and its viability is largely contingent on the legal and regulatory requirements applicable to your business, as well as the nature of your business and your operations. To recap, an effective and well maintained Records Management Program is a critical to your organization as summarized below. Very helpful and great read.